I wasn’t even planning on making this recipe until I saw that Wegman’s had pretty little bunches of fresh sage for $1.29. The smell of the sage was so intoxicatingly delicious that I bought a bunch and immediately sought out to find a recipe where I could use it. 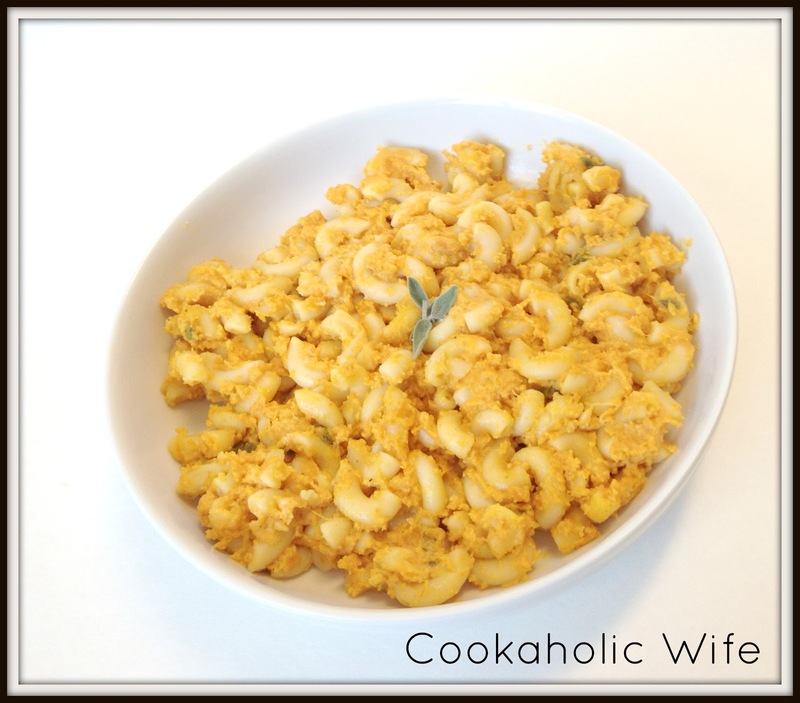 When I think of sage, I think of pumpkins and when I think of pumpkins I think of Thanksgiving, so it only seemed fitting that I would find a recipe for pumpkin mac and cheese that called for fresh sage. 1. Bring a large pot of lightly salted water to a boil. Add pasta and cook according to package directions. Drain and set aside. 2. Preheat the oven to 350. Spray a 9×11 dish with non-stick cooking spray. 3. Melt butter in a large saucepan over medium heat. Stir flour, salt, pepper and nutmeg into melted butter then add the cream and milk. 4. Cook, stirring until slightly thickened and bubbly, then stir in the cheese and pumpkin until the cheese has melted. 5. Stir the pasta into the cheese sauce until coated, then transfer to the prepared baking dish. 6. Combine olive oil, bread crumbs and Parmesan cheese together in a small bowl. Sprinkle over the pasta. 7. Bake for 30 minutes or until golden. Let rest for 10 minutes before serving. The reviews suggested adding nutmeg and more cheese to increase the flavor of this because its pretty bland. I did both and found that it didn’t really make too much of a difference. This is a very, very mild mac and cheese but you could definitely increase the flavor by using another cheese or adding a spicy element like crushed red pepper. The sage is listed in the ingredients, but the directions don't mention it. Where does it get added? Oops! I mixed it in with the breadcrumbs. The original recipe had them as optional.